Thanksgiving is just around the corner! Are you looking for some simple activities to keep kids busy (and calm) at the holiday get-together? 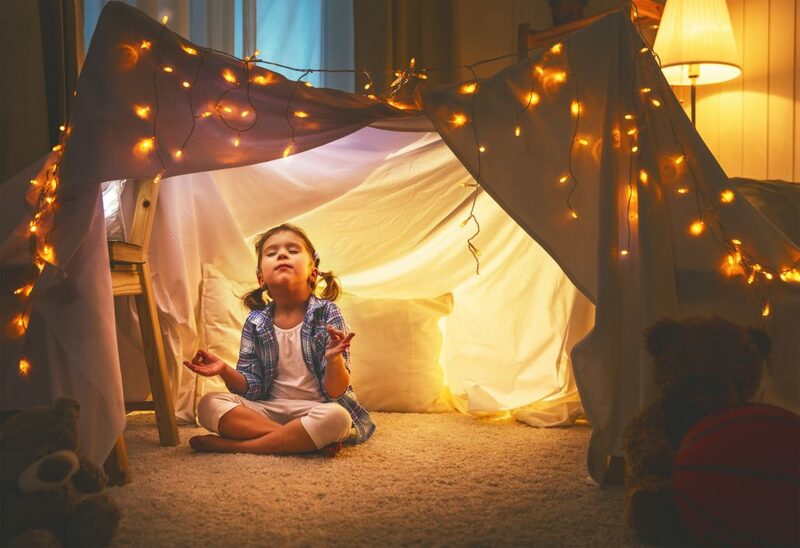 Family events can be a lot to handle, so every little bit of calm should help. Here’s a simple 2-part exercise to help create a thoughtful and enjoyable day. The magical thing about gratitude is this: when we’re in a state of gratitude, there’s no room for judgment, criticism, or resentment—basically, there’s no room for any negative muck or anxiety. A sincere state of gratitude fills us with peace and calm. It’s a very healing state to be in. So here’s the exercise. 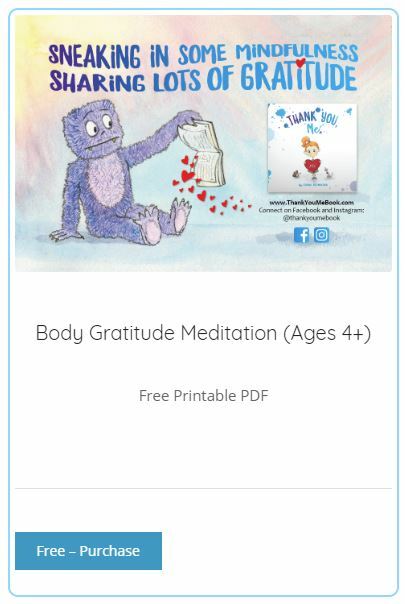 It’s a variation of a mindful body scan (which centers us and brings calm awareness) with an addition of gratitude (which makes the exercise perfect for Thanksgiving!). Breathe in and out deeply through the nose. Repeat 3 times. Close your eyes and focus your attention on your body. Notice the belly expand as you breathe in and out. Focus your attention on your feet. Notice how they feel—cold, warm, etc. Think, “Thank you, Feet, for…” and think about what you’re thankful for. Walking? Dancing? Wearing cool socks? Next, pay attention to your face…think about thanking your eyes, nose, mouth, and ears. Feel that awesome sense of gratitude and keep thinking about what you’re thankful for. Stay for a few minutes in silence, focusing again on your breath, in and out. Open your eyes and look around at the group. Thank each other for doing the meditation together. After this, everyone will hopefully feel more relaxed, calm, and happy. Thanking yourself (body and spirit) is the first part, and now it’s time to thank someone else. Is there someone (or many someones) that are very special in your life? Write them a note to say thanks. Cards are a fun way to say thanks, and when you color your own card, you’re putting in effort and intention. That makes the card so, so much more special. For this exercise, you can download these printables (button below), or create your own. Write a message on the inside. Say why you’re thankful for them. Give it to the special person! Yay! Thank you’s all around. 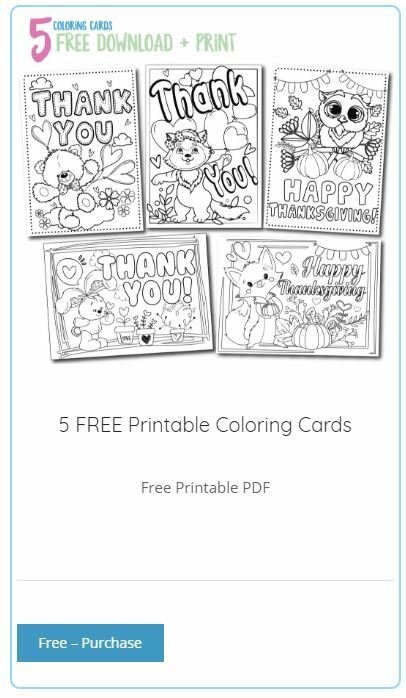 If you enjoy coloring the cards, be sure to share your creations. Tag us on FB or Instagram @thankyoumebook. We’d love to see what you come up with. 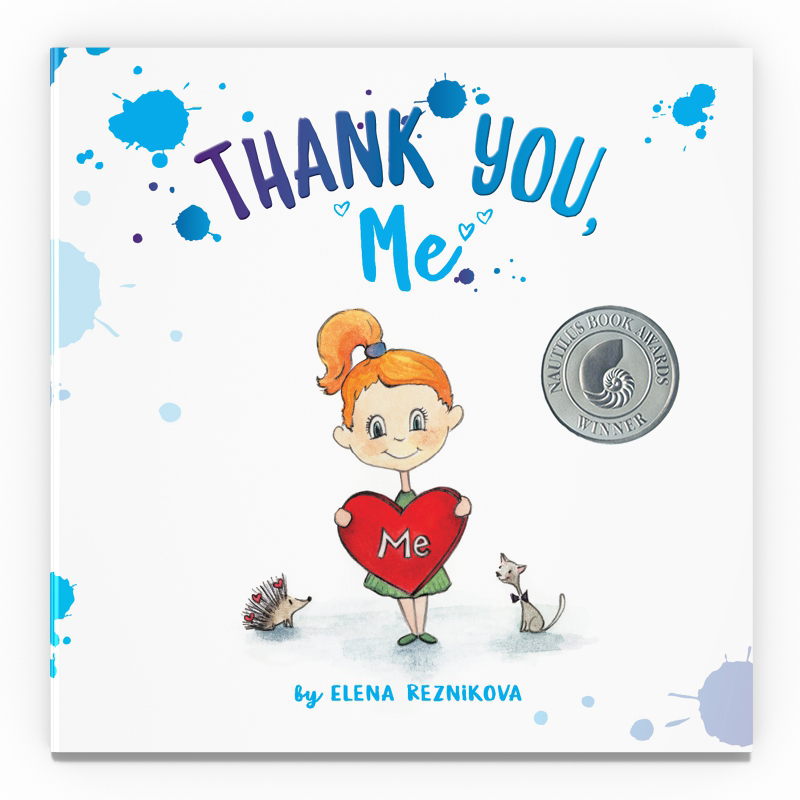 Also, the body-gratitude children’s book, Thank You, Me is on a November promotion of 20% OFF when you purchase at the #thankyoumebook shop here. Don’t forget to use the code THANKSGIVING at checkout to claim your discount. If you prefer to shop on Amazon, books are on sale there as well, for a limited time price of $12.95. Wishing you all a very happy and joyful Thanksgiving! Want to know about future books, journals, and promotions? Enter your email so that we can keep in touch! November FREE Giveaway Can Art Heal?